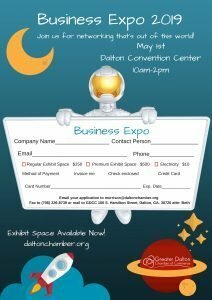 Known as the premier Chamber sponsored business to business exposition in the Northwest Georgia area, this annual event is held for the promotion of local businesses and corporate networking. More than 125 exhibitors showcase their products and services to more than 700 attendees. 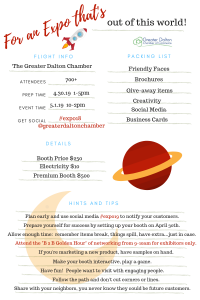 Open to the public, this event keeps participants on the competitive edge with networking, idea sharing, product introduction and service solutions attracting executives at every level.